Clayton IT has years of experience and expertise repairing both Macintosh and Windows computers. 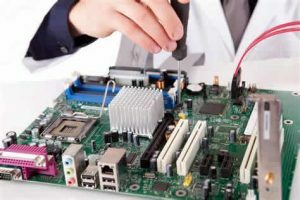 I am always happy to come to your home or business to diagnose the issue and carry out computer repairs right at your desk. If a repair on the spot is not possible, I take your machine back to my repair shop. I complete the service, and return it to your home or office. I'll make sure that your system is up and running at optimal speed and efficiency. Computer repair can mean many things. Many people think of repairs as only carried out on the hardware portion of the computer. These types of repairs can be as simple as making sure the mother board is clean and dust-free. It could also mean replacing a broken or burnt-out component like RAM chips, processors, or internal connections. Of course, before any computer repair we will always carry out a data backup where possible. Another aspect of computer repair is software related. 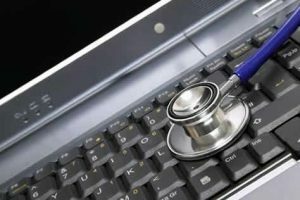 Many people think of software issues as computer service. It still falls within the over-all category of repairs. In both Mac and Windows computers, the operating system is extremely complex and is often the root cause of issues that drive my clients crazy. I have a full suite of professional diagnostic tools that can make identification of operating system glitches fast and effective. After all, what would world-class IT support be without a cool set of tools? In my many years of providing tech support in Victoria I have yet to encounter a computer issue that is insurmountable. Although sometimes I do meet a 'museum piece' that just has to be replaced. Home computers were never built to celebrate a 30th birthday. I always find that when a home computer is set up properly the need for repairs down the road is greatly diminished. One of the main areas of computer repair is centres around virus & malware removal . If you have a Mac setup you likely have not had to wrestle with this constant hassle. Although that may be changing. However, all of us who use a Windows computer, or PC, know all too well how important anti-virus software is. Keeping it up to date can feel like a full time job. Many of my clients contact me when it's already too late and we embark on an expedition to recover lost data. At Clayton IT, I am used to handling everything from mobile phones to laptop computers to desktop computers. When your machine is on the fritz and you need the best PC repair in Victoria. I am self-employed and work from my home office so that I can keep my overhead low. I offer my valued clients some of the most competitive computer repair rates in town. I can most often jump in the Clayton IT mobile and be at your home or office either the same day or the next business day. Oh, and if you're one of the thousands in Victoria struggling to get your WiFi setup configured please call me at 250-882-6111 and let me help! Expert computer repair in Victoria BC. Years of experience repairing both Mac and Windows computers. Hardware and software issues in your home or small business. Mobile Computer Repair.